The Landwind X7 (pictured) has a similar shape to the Range Rover Evoque, with the roof and windows tapering from front to back, and near-identical tail lights and character lines on the side paneling. 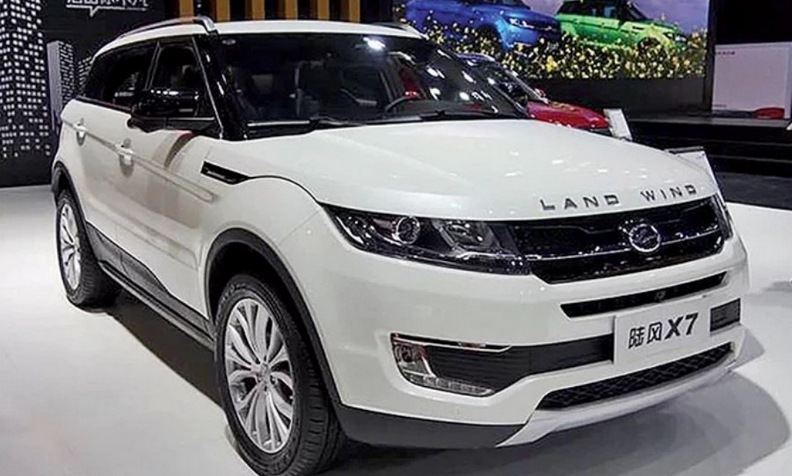 LONDON -- Jaguar Land Rover won a legal victory and compensation after a court in China ruled that the Jiangling Motor's Landwind X7 SUV was too similar to the Range Rover Evoque. The Beijing Chaoyang District Court agreed with JLR that that Landwind copied five unique features of the Evoque, which led to widespread customer confusion, JLR said. The court ruled that Landwind must pay JLR compensation. The ruling refers to the original Landwind X7 from 2014 rather than the more recent facelifted model, which toned down some of the more blatant similarities, JLR said. Landwind can continue selling the facelifted version. JLR said the court's decision suggests China is taking copying claims more seriously. "This ruling is a clear sign of the law being implemented appropriately to protect consumers and uphold their rights so that they are not confused or misled, while protecting business investment in design and innovation," Keith Benjamin, Jaguar Land Rover's legal affairs chief, said in a statement. Western automakers have faced difficulties in China caused by domestic brand imitating their designs. Also, a lawsuit can be bad for branding if the Chinese public think a foreign company is bullying domestic competitors. "The ruling is highly significant," said Michael Dunne, CEO of Hong Kong-based automotive consultant firm ZoZoG. "For years, foreign companies have taken Chinese rivals to court for purloining designs and lost. GM, Mercedes, BMW, Toyota, you name it." At certain times, Chinese leaders will allow a high-profile foreign "win" in order to win international support, Dunne said. 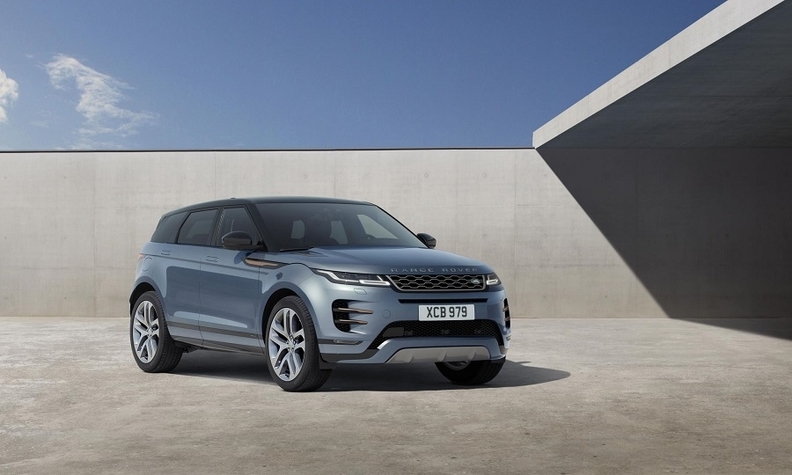 JLR had its patent on the shape of the Evoque canceled in China in 2016 after a court ruled it was void because the company had patented it outside China first. It responded by suing Jiangling. The new Evoque will be launched in China in April. Landwind is one of the few Chinese automakers that does not break down its sales by model, but industry observers estimated the X7 accounted for the bulk of the brand’s 80,000 sales in 2016 at the height of the SUV's popularity. The X7 costs from the equivalent of 17,100 euros in China, compared to almost 50,000 euros for the Evoque. The new Range Rover Evoque will be launched in China in April. Landwind sold 2,746 cars in China in the first two months, making it the 61st best-selling brand, according to figures from sales aggregator Bestsellingcarsblog.com. Land Rover was No. 59 with 3,342 sales, down 61 percent on the year before. Jaguar was No. 68 with sales down 60 percent to 1,931. JLR's court victory is rare in China where courts often side with domestic automakers. Fiat lost a case against Great Wall in 2008 after a court ruled that the GW Peri was not a direct copy of Fiat's Panda, despite strong similarities. Fiat was ordered to pay court costs. More successful was German coach-maker Neoplan in 2006, after a court ruled that the A9 bus made by the Zonda Industrial Group was a direct copy of the Neoplan Starliner. Zonda was ordered to stop making and selling the bus and ordered to pay 20-million-yuan compensation to Neoplan. JLR's China deliveries fell 22 percent to 115,000 last year after the automaker faced quality problems that caused Jaguar and Land Rover owners to protest outside its China headquarters in Shanghai.